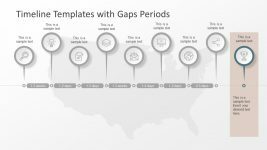 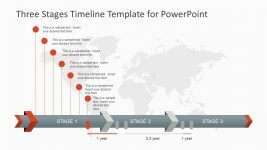 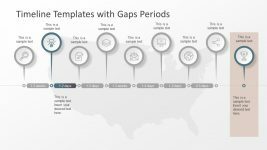 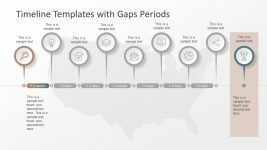 The Creative Timeline Project Ideas of infographic PowerPoint is an incredible presentation tool for project management team. 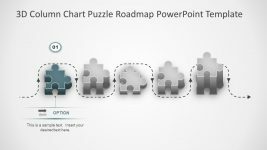 This slide template shows a pin pointer icon with the computer screen infographic. 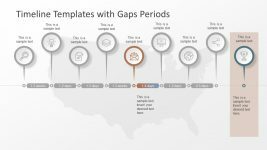 This infographic represents the development, coding and working on a computer towards the final result. 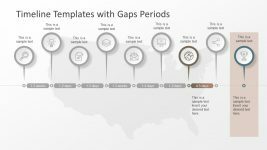 Whereas, the goal in this template has a trophy image for successful completion. 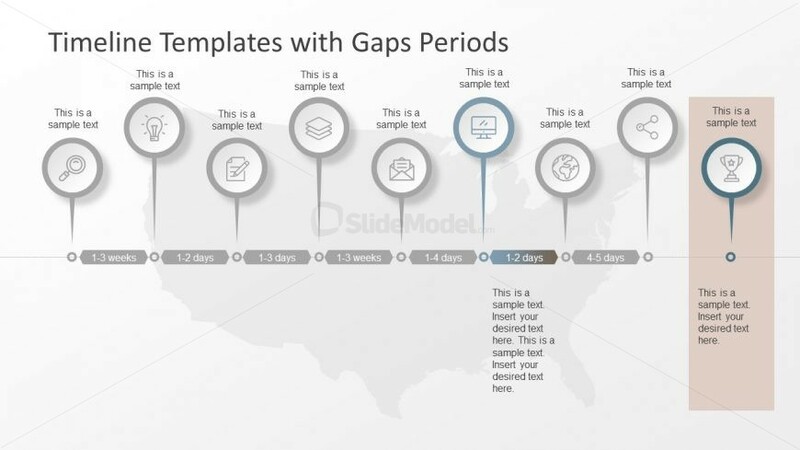 The editable PowerPoint enables users to add or delete the segments of timeline. 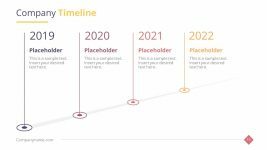 The users can make a visually interactive timeline display using the animation to show transition of each timeline phase.